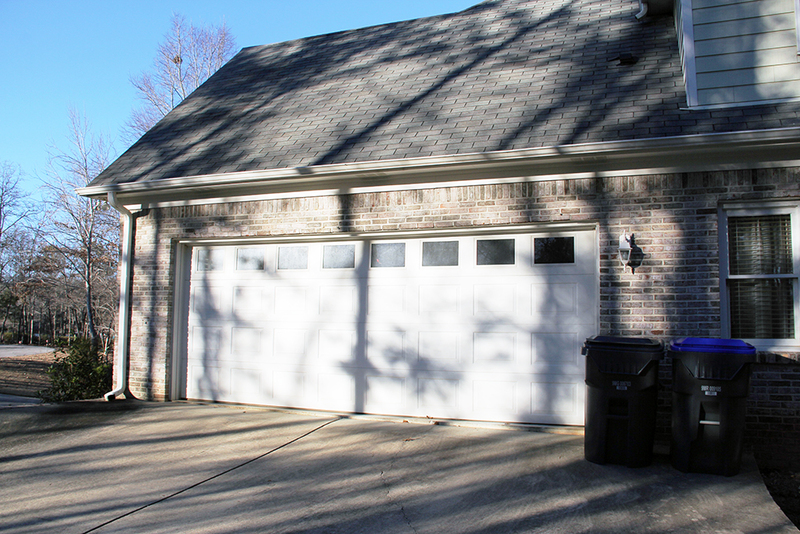 When we bought our house, the upper garage had a HUGE and janky double garage door. 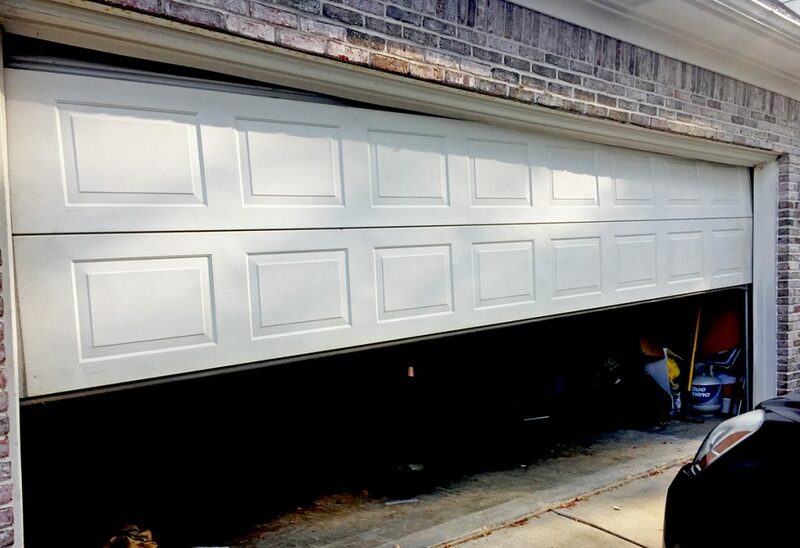 This “double” garage door was seriously like 20 feet wide, and it was constantly breaking down. I paid a local door company many hundreds of dollars to come out on several occasions and patch this behemoth up, but it was on it’s last legs. Notice I put “double” in quotes because there is no way two SUVs are fitting inside this garage side-by-side. It has always been just a single car garage for us. So, back to this janky door. First the upper rails got bent, then the rollers came off their tracks and the bolts started falling out. It was a hot mess. Another major complaint was there was no regular entry door into the garage- you had to raise and lower the entire 20 foot wide door anytime you wanted to step outside, which really sucked. 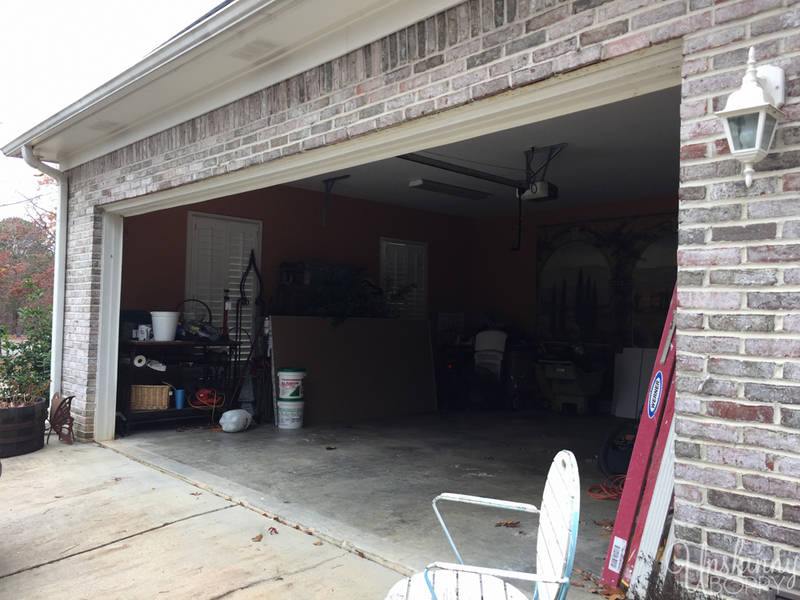 Considering I like to take Caroline’s dirty diapers straight out of the house an toss them into the outdoor trash can, we have done a whole lot of raising and lowering of that garage door over the past two years. Maybe that’s why it broke down so often. Here’s a pic I sent my husband on the day of my last straw with this door. It got stuck halfway up. It would not go UP OR DOWN beyond this point, which meant I had to do the limbo when I took the dirty diapers out to the trash cans. It also meant any random person or animal could limbo right into my garage at all hours of the night. I was seriously so done with this door. 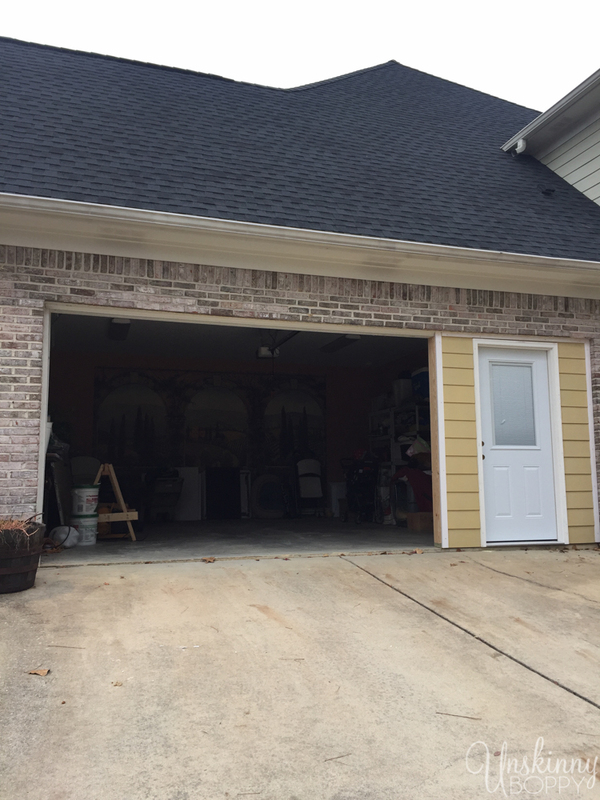 We decided to replace the 20 foot wide garage door with a 12 foot wide garage door and frame in the rest with siding and a regular exterior door. This might have been the greatest idea I’ve had since I moved into this house. 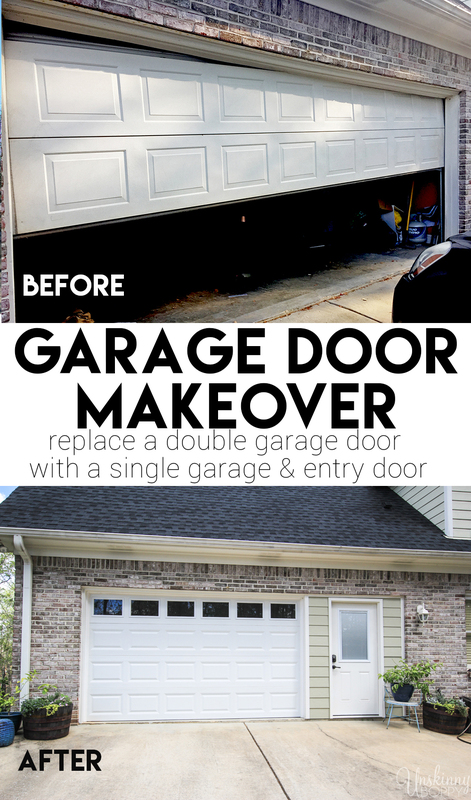 Heath Pender of HP Painting and Remodeling (aka the guy who finished our attic) framed out the new garage entry door since this was way beyond my DIYing skills. 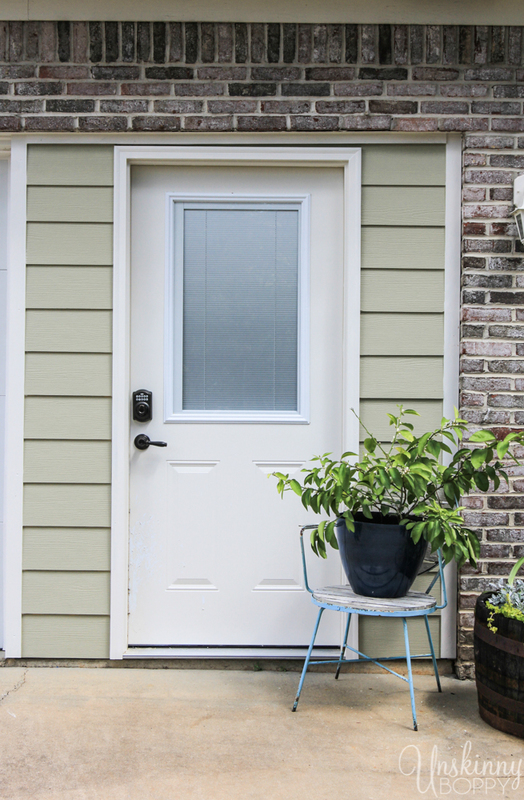 In addition to the new door, he added Hardi-plank lap exterior siding painted to match our existing trim, then added sheetrock to the interior wall. The door we chose is a Masonite half-lite with miniblinds already included in the window. 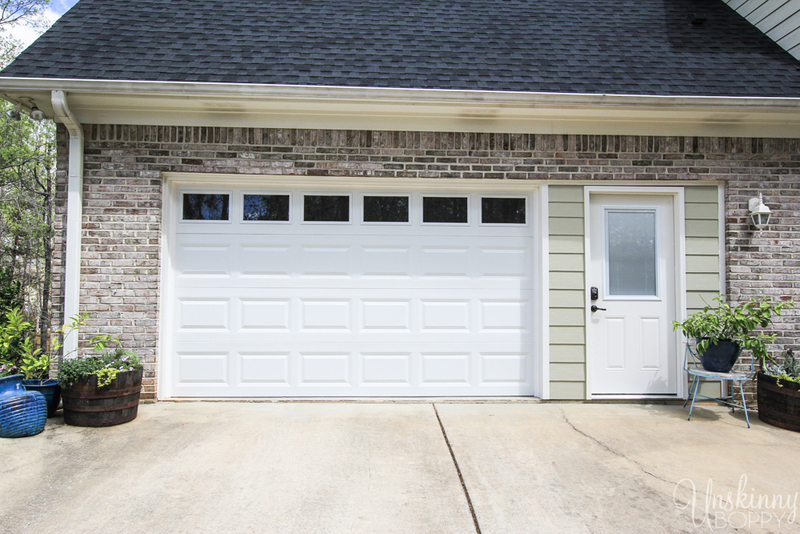 We hired a local garage door installer to put in a 12 foot wide single garage door so it’s way more functional for our needs. We also replaced the motor so it’s a whole new system that works perfectly. It’s also way quieter than the old door, so that’s great for nap time. Instead of a regular deadbolt, we chose a keyless Schlage keypad deadbolt on this door. 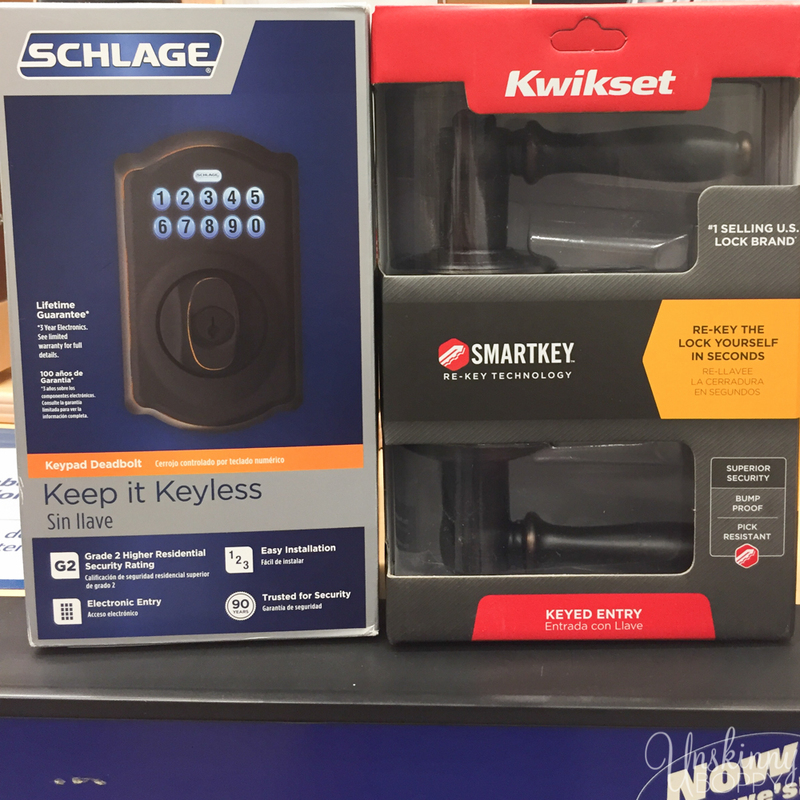 And since we like to rekey the doors ourselves, I bought a Kwikset Smartkey lever door handle in the same ORB color as the deadbolt. These Smartkey handles match our existing door keys and eliminate the need for a locksmith. 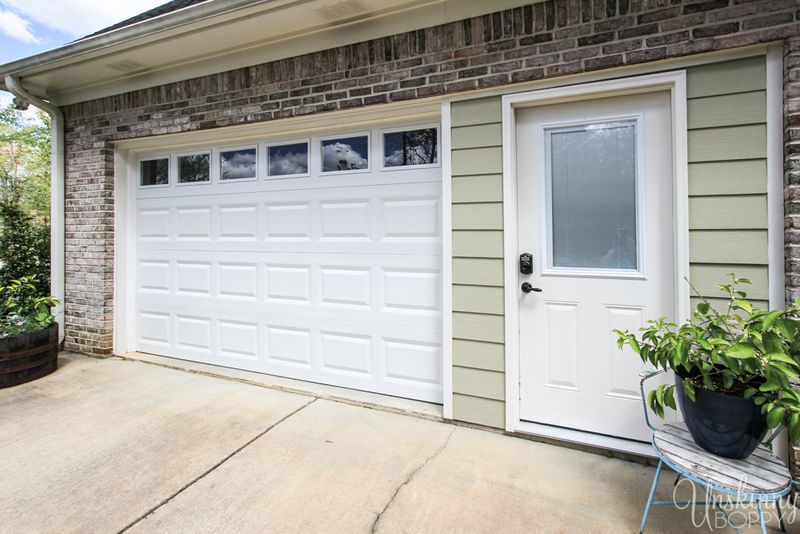 I love having this handy new exterior door to the driveway in the garage. I can run the trash outside now and not wake up a napping toddler with the roar of the garage door motor. 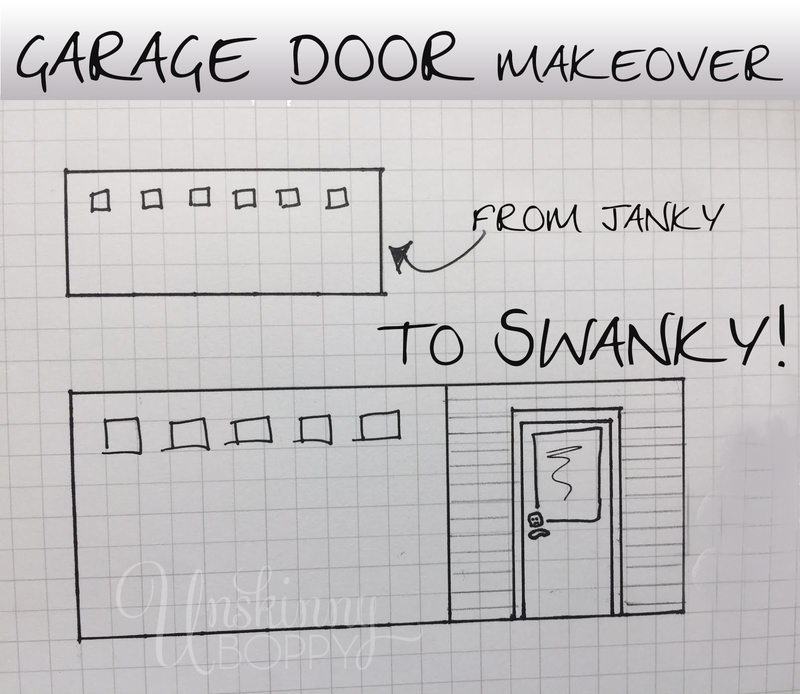 It’s awesome having a janky garage door no more. 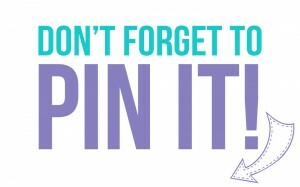 This is a great idea for you guys! If you’re only putting 1 car in anyway, this is perfect! 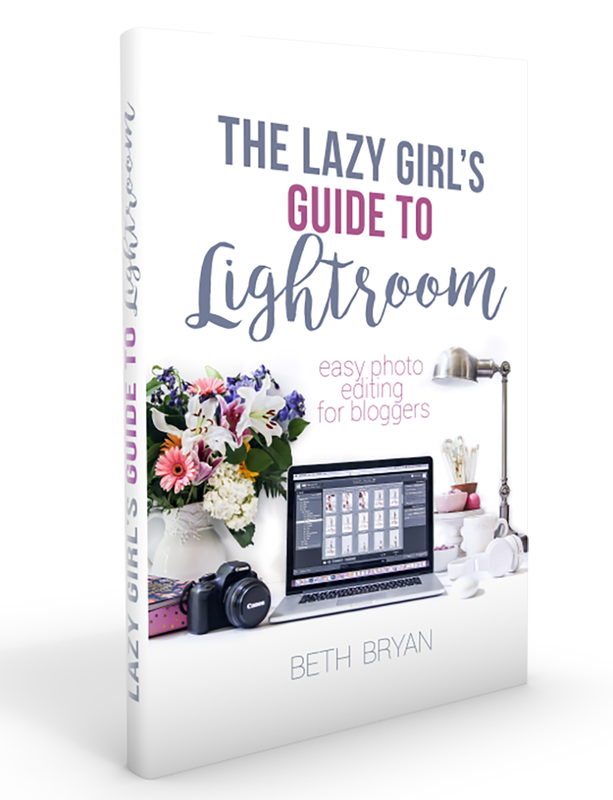 Beautiful job and you’ll get years of use out of it with the kids! Another star for the “Momma”!!! you! Thanks for the heads up!